For some it’s the first time, others are long going alumni’s, visiting VMworld is the yearly top of the pops when it comes to hearing and seeing all the new trends in the world of virtualization and beyond. And I’d like to emphasize on the ‘Beyond’, as a lot of people still think it is a VMware Only party like it is with many competitors. VMworld however is an event by VMware, but about VMware and its whole partner ecosystem. That includes that partners hold sessions about integration with their product and more. As there is with any large conference, there are some do’s and don’ts when it comes to VMworld. 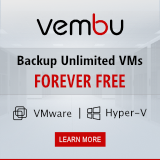 As VMguru has been to VMworld a couple of times, in the USA and (mostly) to Europe, we have experienced first hand what works and what is better to leave out. Here are a few of our tips for planning and attending VMworld. When you plan your hotel, plan an extra night if you can. In general VMworld ends on Thursday. If you have really immerged into the VMworld experience, you will probably be as dead as a doornail. If you don’t want your voyage home to be an extra torture, take that extra day and fly home after a good nights sleep and a proper breakfast on Friday. You’ll feel better when you get home. Make a schedule using the VMware planning tool. Some sessions are really really very popular. If you don’t register, chances are the session is full and you will miss out on some premium content. Bare in mind that day 1 and day 2 kick off with a lengthy general session that will take up most of your morning but in general are really worth attending. If you are a VMware partner, there is a day 0 for you. In the USA on Sunday and in Europe on Monday, there is the partner day. If you have never been to VMworld and you are a VMware partner, do attend this partner day. It has nice insights in how VMware is attending to its partners. When you plan your schedule, be kind to yourself. You will probably not be as receptive to content by the time you reach day 3. So plan your most interesting sessions on day 1 and day 2 and leave some relaxing time in day 3. When you come to VMworld, you have to register to pick up your goody bag and your badge. Although this is an automated system, there can be quite a line in front of you. 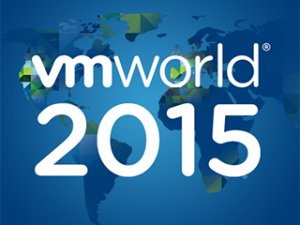 If you have the chance, register the evening before you go to VMworld. The venue is generally open until 8pm so you have time to do so. This will prevent you from missing out on the first hour or two of the general session on your first day because you have to stand in a row to get your badge. And be honest, who likes to stand in lines anyway? Beware of the Solutions Exchange. The Solutions Exchange (or SolEx as I like to call it) is like a conference within a conference. It’s a huge marketplace where almost all VMware partners are present with a booth, presenting their latest and greatest integration with VMware products. I generally compare this with Hotel California. Once you go in, time flies by and before you know it, it’s closing time. Do plan for time here, as this is the place where you can find real added value for you and your company. Also, this is the best place for “swag hunters” (people looking for freebees like gadgets and t-shirts), especially on day 3. Most vendors don’t want to carry back the swag they especially made for and brought to VMworld, so your best chances to stack up your wardrobe with loads of sponsored shirts and other stuff is at day 3. When you are attending VMworld Europe, plan your travel time. The venue is not the easiest to reach and when leaving, the line for the taxi stand can be huge (I mean, 1 hour waiting time standing ‘round huge). Also bare in mind that not every taxi in Barcelona accepts credit cards and receipts can be poorly handwritten notes. Plan your commute to and from sessions. In San Francisco, you have to switch Moscone buildings to go to sessions. In Barcelona you have a nice walk of about 5-10 minutes, depending on how fast you walk or run. The popular sessions fill up quickly so if you want a nice seat, be there on time. Mix your sessions. There is a load of sessions by VMware and its partners on products, but there also are discussion groups, round tables and ‘talk to the experts’. These are very valuable as they give you the opportunity to hear and talk to your pears in business. Do mix these in as they will add the nice extra’s to your visit. When you registered (see tip 6) you received a goody bag that generally includes a waterbottle. At the venue, there are multiple spots where you can pick up a bottle of water or fill up that waterbottle. Do keep yourself hydrated as it can be pretty warm in the locations and you want to maintain your concentration. Network at the parties but be aware that the next day is a tough one again. Almost every attending partner has its own event at VMworld. Most of them are on day 1 as on day 2 the VMworld Party is being held. Famous events are the Veeam party and the VMware Benelux party (VMworld Europe only). It’s very easy to go on and on and on and on until you can’t go on any more and are left for dead on the sidewalk (and probably be ripped of your wallet and phone when you are in Barcelona ;) ). Be wise and call it a night in time so you can be fit the next morning at the VMworld venue. Visit the Hangout Space. This is a nice place to relax, have a meal, talk to friends and relations, charge your mobile devices and play a unique game or two. This is generally also where the bloggers place is situated, recognizable by the BLOGGERS SPACE sign. If you would like talk to us, chances are pretty good that one of the VMguru’s will be here writing articles for the site. One friendly request: do be kind to the bloggers. The bloggers table is especially for them. It’s not a business meeting table, charge point, cable repository or phone booth. If you can, bring your own 4G accesspoint or use your smartphone to do so. There will be wireless internet available, but it will probably be unusable as 8000 other attendees are trying to use it with you. Also, not every corner of the venue will be covered, like the SolEx. If you are an internet junkie, like most of us are, best to bring a backup access yourself. When you are at the conference, try to keep up by checking social media. During VMworld there is a lot of tweeting and facebooking going on. Hashtag #VMworld will probably be very hot during the times you are there. Try to keep up with them as sometimes this will bring very special events or sessions to your attention. The big screens in the Hangout area will also show the hottest posts. Do NOT wear your VMworld badge in the city. This is a neon sign that says ROB ME. If you need it to enter an event, carry it in your pocket or under your jacket. Don’t bring your wallet if you don’t need to. Just put a 50-note in your pocket and some taxi money. At most events you don’t need to pay for drinks or food so no reason to bring money for that. Carry your smartphone in an inside pocket or other hard to reach place. The amount of iPhones nicked on day 1 sometimes is amazing. Never ever leave your bags unattended. Especially in the center of town, like on the Ramblas, but also in and around the venue. Unless you plan on getting rid of it, this is the easiest way to lose your stuff. Also, be aware that taxis handle a different rate after 11pm or midnight. This can easily be 150-200%. Bring money to travel back to your hotel accordingly. You don’t want to go into a discussion with a spanish taxi driver after midnight. 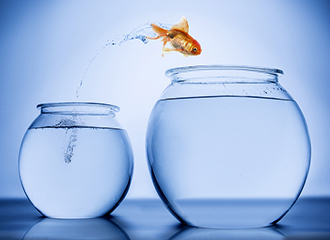 These do’s and don’ts have served us well over the years we at VMguru attended VMworld. I hope they help you have the best experience you can have at the best IT conference of the world. Friend of our blog Amy Lewis (@commsninja) had some additions to our list. Here they are! When they put out snacks, pocket a couple of spare granola bars or other portable ones, especially in Barcelona. It’s like Hunger Games. Bring backup shoes! When the first pair fails you, the second will make your feet hurt in a new way at least. Don’t use your iPad as a recording device. It blocks the view for others, it distracts people (presenters as well as attendees) and the quality of your recordings is going to be rubbish anyway. If you want to record a session, bare in mind that most sessions are recorded professionally and are published online after VMworld. Bring a spare power source for your mobile device. You will probably be looking at your phone all day as the VMworld app is pretty handy to keep track of your schedule. It would be a pity if you miss a session because your phone died on you. Also, you will probably shoot lots of pictures, check social networks and talk to people all day long. One charge will be empty by noon, if you reach that at all. Take ’em to heart, people! As an additional tip…bring very comfortable shoes; no one dresses up except for partners and commercial types. The only time I dressed up was for a party with our local vendors. I did not find the taxi different that special at night, but then I speak Spanish.